The book “The Entrepreneur Within You 3” is a motivation powerhouse for the entrepreneur who is afraid to start or too tired to persevere. It provides 21 real-life stories of everyday people who conquered the limitations and obstacles to their business success by tapping into the core power of the entrepreneurship that lived inside them. 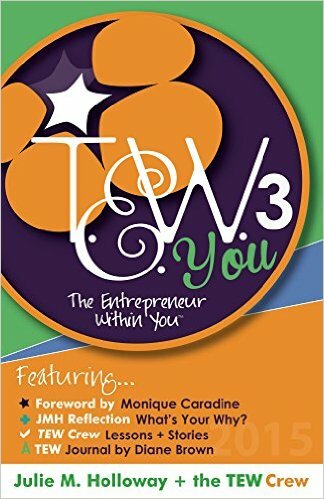 “The Entrepreneur Within You 3” curated by Julie M. Holloway (@tewyou) is a real-life exploration of the heart of entrepreneurship. What compels a person to invest their time, money, and resources into something that may not earn them money? 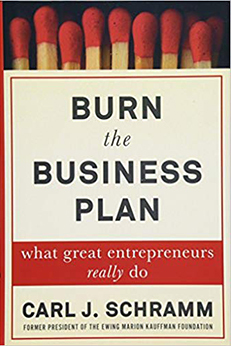 The book shares the answers from 21 real-life entrepreneurs who built their businesses from the idea up. “The Entrepreneur Within You 3” shares the kind of stories that inspire the “I don’t know any angel investors” crowd. These are the people who have a business idea, but need to tap more inspiration to ignite their entrepreneurial spirit. To motivate, inspire, and support entrepreneurs through personal stories. 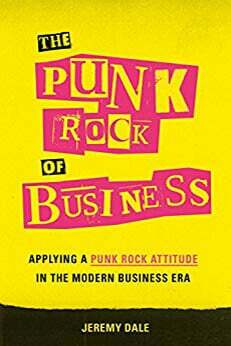 The book achieves that mission by allowing a broad spectrum of entrepreneurs to share their “business origin stories” in their own voices. Entrepreneurs ranging from entertainers and graphic designers to consultants, artists, DJ’s and non-profit administrators share their biggest successes as well as their failures in following their entrepreneurial dreams. The best part of “The Entrepreneur Within You 3” is the motivational spark that comes from reading just the first few pages. Holloway does an excellent job of choosing business owners who can concisely tell how they developed and maintained their entrepreneurial spark. Each page is filled with stories of how these entrepreneurs overcame many of the obstacles that stumped business owners with more resources at their disposal. Many of the entrepreneurs realized they didn’t have the money, education, or technical skills to compete with the mega-corporations of the world, but they started anyway. Business owners in this book bootstrapped their way through their obstacles and often began with an extremely limited amount of money and little help. The reality of these stories brings entrepreneurship out of the vaulted halls of MBA-focused magazines and down to the ordinary person who may be ready to start a business. Basic next steps and tips to get started. “The Entrepreneur Within You 3” provides a small portion of this information, but not enough. The book is motivation for the person who has the dream, but needs the energy to persevere. Because the book covers a wide variety of business owners, “The Entrepreneur Within You 3” has a chapter that should connect in some way to everyone who reads the book. The book’s emphasis is on connecting and reconnecting to a purpose bigger than your immediate situation. It is a reminder that will serve an entrepreneur, whether they are waiting for their first sale or waiting patiently for their next one.